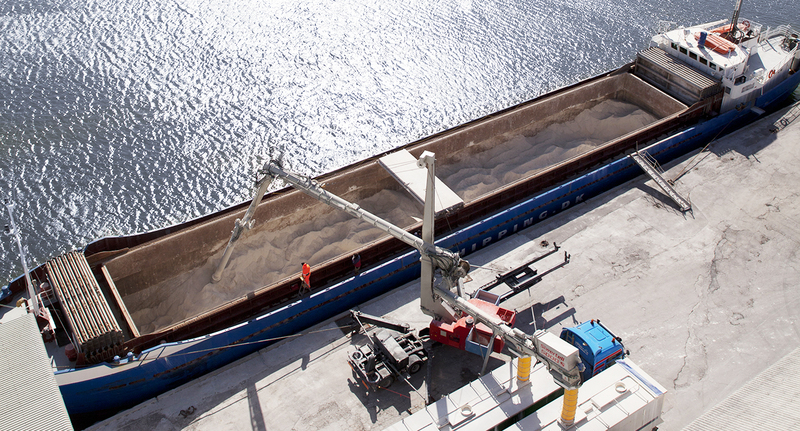 The yacht club, the import jetty for calcium oxide and the centre of Faxe Ladeplads in Denmark are close neighbours; a quiet, dust-free Siwertell solution now allows for their peaceful co-existence. 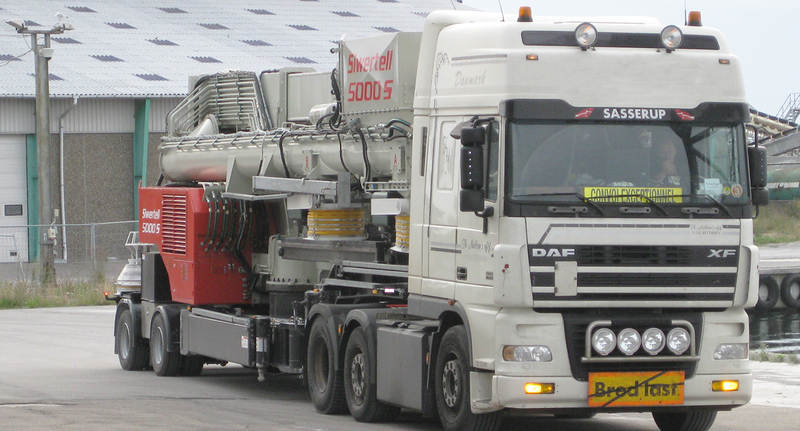 Siwertell has delivered this 5 000 S road-mobile ship unloader to leading Danish producer and supplier of calcium oxide, Faxe Kalk, which is part of the Lhoist Group. 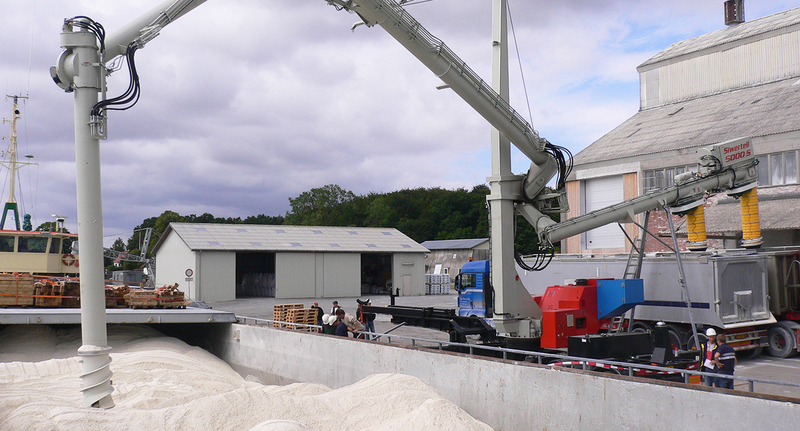 Mounted on a semi-trailer, the Siwertell unit is suitable for unloading vessels of up to about 5,000 dwt. 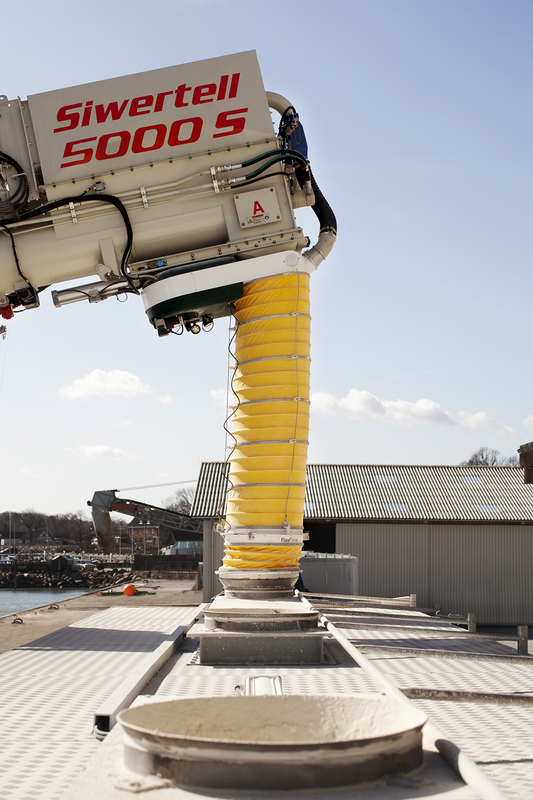 The equipment is frequently used in Faxe Ladeplads – situated on the Eastern Sjaelland coast, 80km south of Copenhagen – where the yacht club and town centre are close neighbours with the area’s import jetty for calcium oxide. Nowadays in Faxe Ladeplads, yachts enter the marina through the same port dock that is used for calcium oxide import and the city centre is situated only a few hundred metres away from the industrial port. 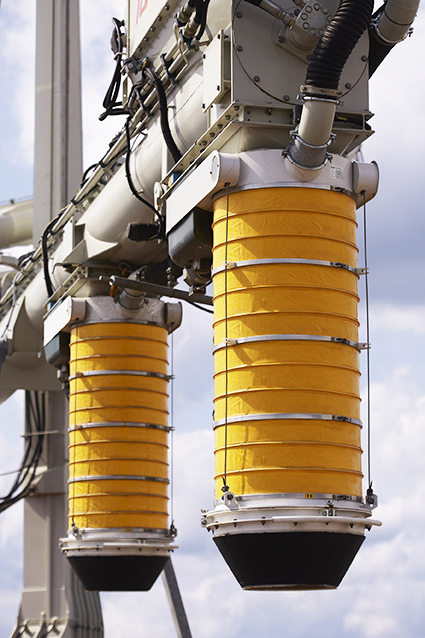 The emissions requirements for the import terminal are not only the toughest possible, but must be fulfilled if the company wishes to continue import operations. Their proximity to each other was the trigger behind the company approaching Siwertell for a solution and this is an excellent example of how private pleasure and industrial efficiency factors are driving new environment friendly machines to the market. 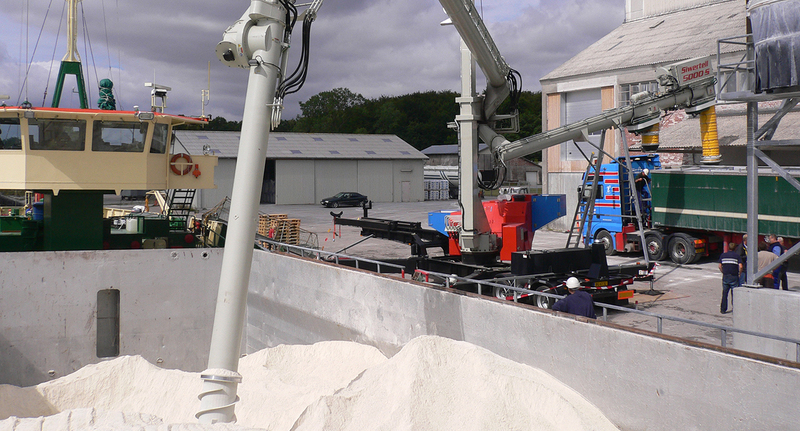 The road-mobile Siwertell 5 000 S ship unloader made it possible for Faxe Kalk to continue competitive calcium oxide import, but has also allowed for a more pleasant atmosphere for the boat owners and citizens of Faxe Ladeplads.